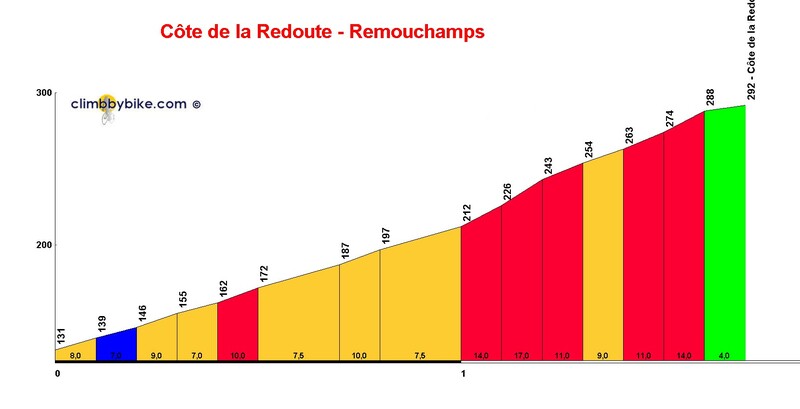 The "La Redoute" is well known for its important role in Liege-Bastogne-Liege. Do not start too fast. The steepest part is when you turn left, away from the motorway.